Coffee... An Obstacle or Antidote? "Shall I take Coffee?" - A common question of our patients, also arises when we speak, discuss about our treatment. Dr.Will Taylor, world-renowned physician uncovers the layers of antidoting. 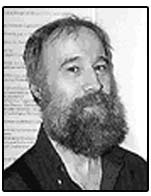 He had contributed many articles to online journals and popular international journals. The question of antidoting often comes up when discussing homoeopathic treatment. Patients are often told, or believe from their readings, that they need to assiduously avoid "antidotes" to their homoeopathic remedy, including coffee, mint, camphor-containing compounds, tea-tree oil, and dental work. I hear much discussion among homoeopaths as to how significant the phenomenon of antidoting might actually be in practice, and even hear of practitioners who believe that the concept of "antidoting" is a modern invention to conveniently explain away therapeutic failure rising from other causes. I think it is perhaps unfortunate that the term "antidoting" has been applied to this phenomenon. By my understanding of that word, it leads us to expect a phenomenon somewhat different than that which we actually see in practice. I understand the term "antidote" to mean "a remedy counteracting a poison or an evil", suggesting that the antidote acts "counter" to a substance, "neutralizing" the substance, here the remedy itself. "The softest tones of a distant flute that in the still midnight hours would inspire a tender heart with exalted feelings and dissolve it in religious ecstasy, are inaudible and powerless amid discordant cries and the noise of day." So the issue is not that "coffee or whatever neutralizes remedies"; it is, rather, that coffee (as one example of a substance that may "antidote") may sometimes exert a medicinal influence that diverts the vital force from making the response that we desire it to make to our chosen remedy. "Vegetable acids and wine antidote its effects, and so do other medicines which correspond palliatively or homoeopathically to some of its troublesome symptoms". "so do other medicines which correspond palliatively or homoeopathically to some of its ... symptoms. The erysipelatous swelling caused by belladonna are readily removed by hepar sulphuris. Camphor, too, displays much antidotal power against some of the morbid effects caused by belladonna. Coffee is serviceable as a homoeopathic antidote ... the sufferings it causes may, according to their character, be relieved by the antidotal power of pulsatilla or chamomilla, and in rarer cases by cocculus, arnica, camphor or vinegar. So the issue is, that a "spurious" medicinal substance that overlaps with our remedy in "partial similitude" to the case can divert the response of the vital force to our chosen remedy. We can employ this to our advantage in calming a similar or dissimilar aggravation to our prescription, or we can encounter this as an obstacle when it blocks a hoped-for healing response to our prescription. When is this most likely to happen? When the "interfering" substance bears some partial similitude to the disharmony being addressed, and therefore to the remedy given - e.g., we see the classical antidotal parings of Ignatia/Nux-v, Ignatia/Puls, Bell/Camphor, Bell/Opium, Sepia/Nux-v, etc. Now with regard to point #1 above, there are some substances that have far-reaching effects on the economy of the organism, that bear widespread similitude to many states of disharmony and likewise to many remedies. Two of these are Camphor and Coffee, and this is why we see these mentioned so often in the classical literature as "antidotal" to the effects of remedies. Leaf through the Materia Medica Pura & observe how often these are mentioned in this regard. 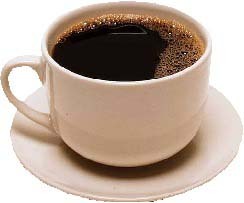 - the risk of coffee acting as an interfering substance is much increased. Hahnemann wrote eloquently on the subject of coffee. In his Lesser Writings (also available as a separate pamphlet) is a 19-page essay, On the Effects of Coffee (Leipzig, 1803), in which he expounds at length on the assertion that coffee needs to be regarded principally as a (palliative only) self-medication for symptoms common to the core human condition (read it! it's a great essay). Although he does not say it in so many words at that time (note this was well before his views on chronic disease were matured - The Chronic Diseases was not published for another 25 years), it is not difficult to extrapolate that coffee is often used as a self-medicating palliative for many of the disturbing symptoms of the nearly universal human condition of Psora. In Chronic Diseases (1828) he describes this more directly. This medicinal effect of coffee is not confined to its ingredient caffeine, but is a property of the whole substance, in the manner that our remedies act not as collections of ingredients but as whole substances. Note the numbers of people who continue to embrace coffee as self-medication, who find it difficult to abandon its use, even when they confine use to decaf. It is likely this effect (the palliation of some of the disturbing symptoms of Psora), which has brought coffee into such widespread use, which permits Starbucks to charge such outrageous prices in airport lobbies for the stuff, even without the caffeine. How many other things do we consume in a "dose-related" way? ("4 cups/day", etc. - do we eat Kale that way?) I'd suggest that coffee's palliative relationship to Psora confers it a "partial similitude" to many antipsoric remedies, which sets it up for possible interference with their invitations to the vital force. When Hahnemann began applying similia similibus as a curative art, he was quite sensitive to the excesses of polypharmacy in allopathic practice. He advocated a highly restrictive diet (see the Organon and Chronic Diseases) to minimize potentially interfering medicinal influences. As his experience grew, he slacked off somewhat on this intense restriction, perhaps with growing experience in the specifics of antidotal influences (restricting vinegar with Sepia, rather than universally, for example), and perhaps also with astonishment that the "subtle" effects of his tiny doses were not so subtle after all, and persisted through minor medicinal interference in the diet. We even find a reference to his giving a remedy in coffee at some point. This does not mean that he abandoned the notion that coffee might "antidote" - but rather than he recognized that "antidoting" is a relative phenomenon, that is in some circumstances more of an issue than it is in others. In practice, I find accidental "antidoting" to be a rare, but certainly not a non-existent event. Even intentional antidoting, e.g. to calm an excessive similar or dissimilar aggravation, is often more difficult than I'd like it to be. I often suggest to folks who appear to be self-medicating with coffee and who might be at greater risk of "antidoting" (according to the factors listed above) that they might ensure a more positive response if they eliminate coffee from their diet. Similarly, folks receiving Sepia are cautioned about excesses with vinegar, folks receiving Lycopodium about excesses with mint, etc. Although certainly not a universal or even common phenomenon, I have certainly seen cases where indiscretion with these items interfered prominently with treatment.